Week of Launch Events Begins February 15 at 13th St. Pub and Grill, 5:00 p.m.
SEATTLE — – Fremont Brewing of Seattle, Washington has teamed up with Boise-based Hayden Beverage Company for statewide distribution in Idaho. To celebrate their partnership, Fremont Brewing and Hayden Beverage will host several launch events in Boise and throughout Southern Idaho. Events in North Idaho will roll out in March. The series of launch events will begin on February 15th, 5:00 pm at 13th St. Pub and Grill, 1520 N. 13th St., Boise, ID 83702, featuring several of Fremont’s most sought-after brews. Members of the craft beer community are invited to taste their beer and meet the Fremont and Hayden teams. The Seattle-based brewery and taproom was founded in 2009 by Matt Lincecum and Sara Nelson. Fremont Brewing is now the fastest-growing brewery in Washington and its Interurban IPA is WA’s leading craft beer. Other beers include Universale Pale Ale; seasonal single-hop, single grain favorite, Summer Ale; Bourbon Abominable (“BBomb”); Bourbon Barrel Aged Dark Star; Rusty Nail, a bourbon barrel aged beer brewed with licorice and aged on cinnamon bark before resting in 15-year old barrels for 15 months; and finally Cowiche Canyon Fresh Hop Ale, featuring Fremont’s exclusive Cowiche Canyon Citra, Simcoe and Mosaic hops. Their beers have won numerous awards such as 2 Silver medals in the 2014 Great American Beer Festival; the Gold medal in the 2016 Best of Craft Beer Awards; Bronze medals in the 2012 World Beer Cup and the 2015 Festival of Barrel Aged Beers (FoBAB); and Rate Beer’s 2015 Best Strong Ale in the World, 2015 Best Beer in Washington, and 2014 Top 100 Brewers in the World. 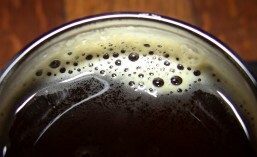 In addition to its reputation for consistent quality and innovation, Fremont Brewing is a recognized leader in sustainable brewing operations and community engagement. They give generously to non-profit organizations, promote the organic hop and local grain markets, and reduce their carbon footprint through conservation and green technologies. It is for these and many other initiatives that they won Washington’s Manufacturer of the Year Award in 2015 and King County’s Best Small Business Award in 2014. I’m a big fan of Fremont Brewing Company beers myself. My cellar has several Fremont bottles including their extremely popular Bourbon Abominable (B-Bomb), Bourbon Barrel Aged (Kentucky) Dark Star and their variants. Their Interurban IPA is always a great choice and for Fresh Hop fans, Cowiche Canyon Fresh Hop is definitely near the top of my list. Idaho craft beer fans are in for something special come Monday. This entry was posted in Beer, Brewing, Distribution, Fremont, Idaho, Local, Seattle, Tasting, Washington, Washington Beer, Winter and tagged 2016, beer, February, Fremont Brewing, Idaho, seattle. Bookmark the permalink.